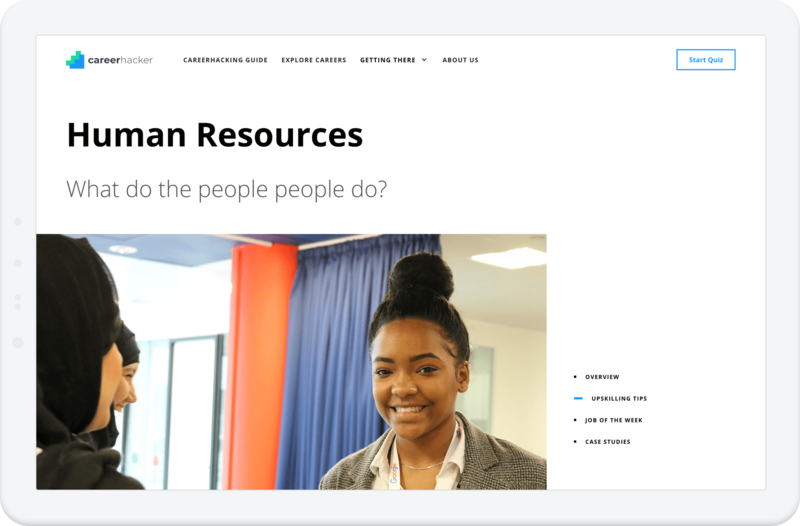 CareerHacker provides helpful information, resources, and guidance for young people making important decisions about their first steps into the professional world. 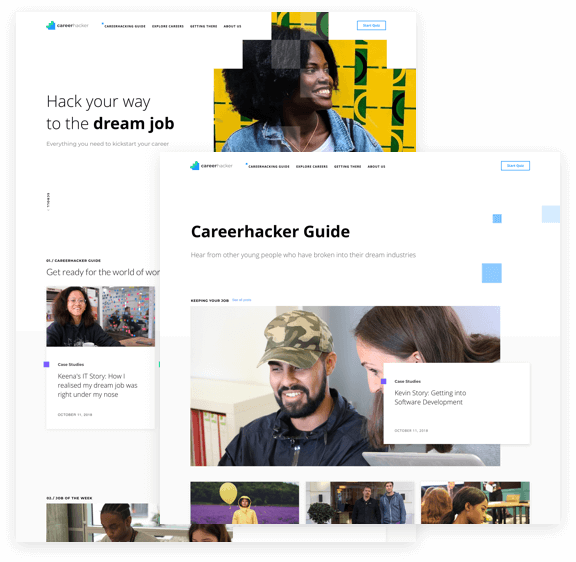 We’ve created a homepage to help users decide what kind of qualification might be the best route into their dream career. 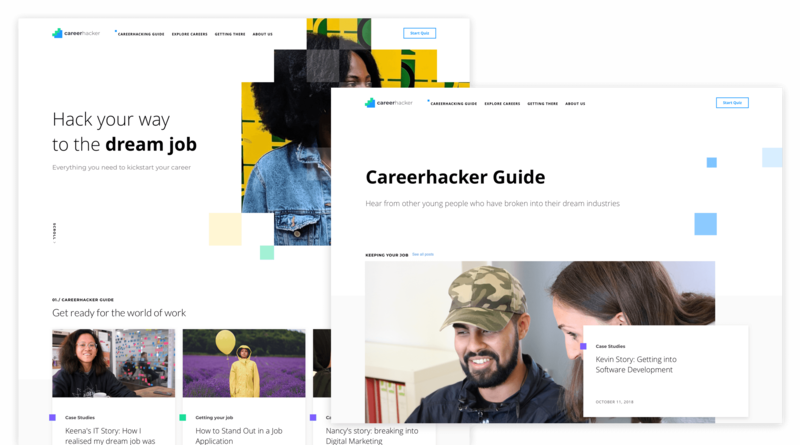 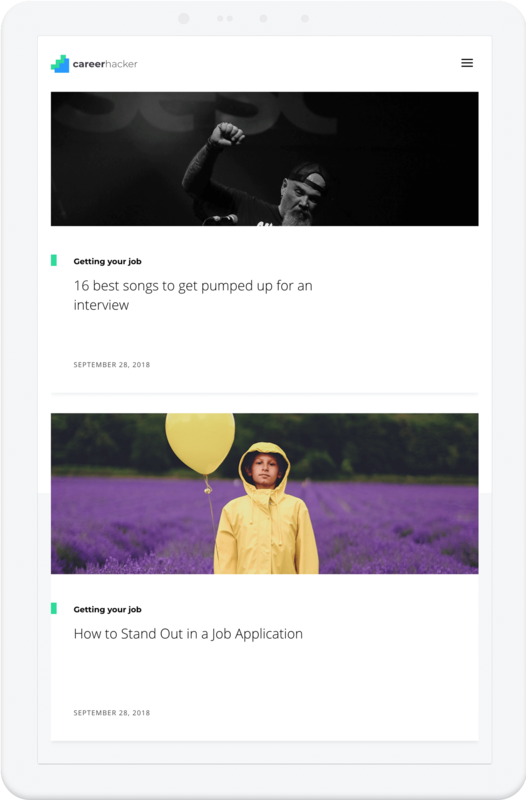 Plenty of handy tips, articles, and blog posts on personal development to improve job-seekers’ employability and get them ready for the workplace.